"Soleilmavis please joint International TI NGO group, please contact Derrick robinson Derrick Robinson <derrickcrobinson@gmail.com>"
"Even Mr.Berry Trower did explain in his you tube, he met number of British royal Family and discussed issues on Electromagnetic harm to human beings for almost 20 years. This is one of it he explain his study on microwave…"
"Can you share the place you - have the car door magnets - and please let me know where I may purchase and use on my website to share for sale? " We Malaysian TI educating Malaysian citizens. these electronic Harassment and Group Stalkings in Kuala Lumpur.Malaysia. 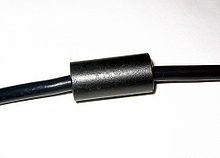 Ferrite Bead for around a house or human (TI)....yes!! Ferrite Bead!!!!!!!!! See Wikipedia for more!! For other uses, see Bead (disambiguation). An RF inductor wound on a ferrite bead, and a PCB mount ferrite bead. This stops high frequency. Also, I have send an email to a radio electric engineer for us!! Keep in touch with me, too!! I hope you all ok. If, in your video in Japanese, Chinese, Cyrillic (Russian), Thai, Urdu, Arabic and other languages​​, if you add the words "TAG" : GANGSTALKING, TARGET INDIVIDUAL, MIND KONTROL, psychotronic weapons, etc..
.. Other victims of other Continents, they can see and meet you. If you add these words as some that I have listed, with western characters, you will come all at once identified by other TI, who seek your video of the continent Asia.